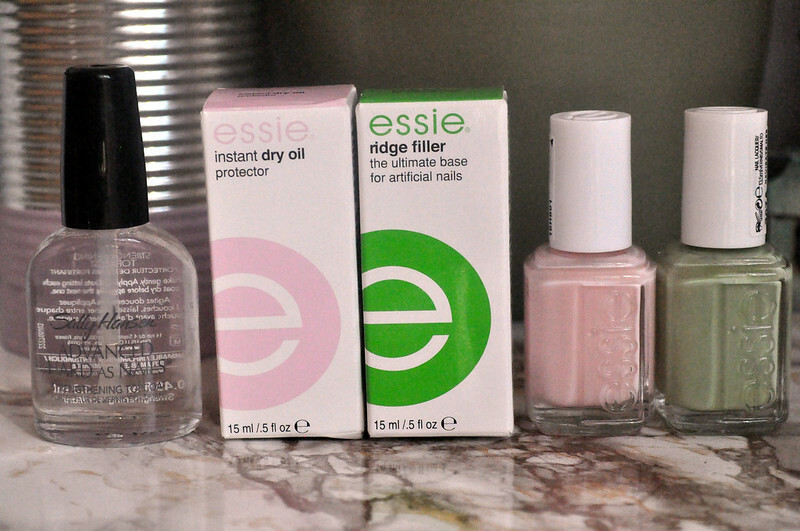 I gave in and ordered some of the £1.99 Essie nail polishes everyone's been blogging about from Fragrance Direct. I wasn't going to but I couldn't resist when I read some of them have the new diffusion line formula and brushes. 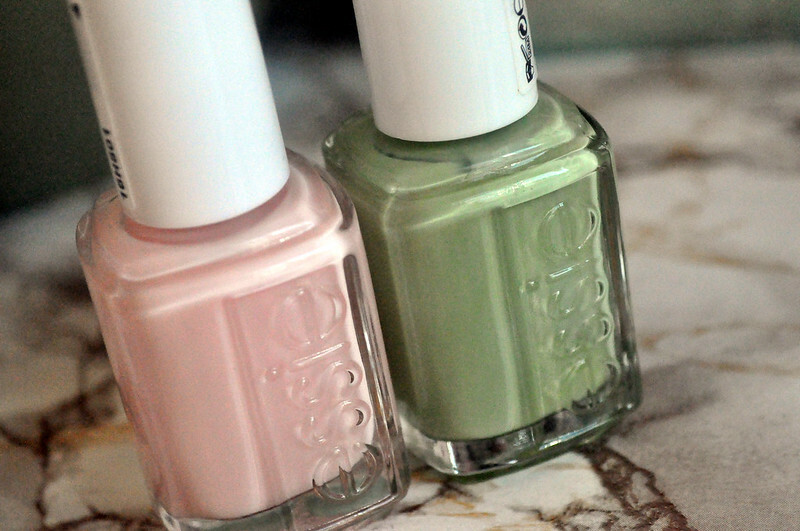 As Fee did, I googled all of the colours and out of the polishes they have at the moment only these two stood out to me. I've been wanting a green polish like this for ages and was originally going to order Models Own Edamame but I'm pretty sure that has shimmer in it. 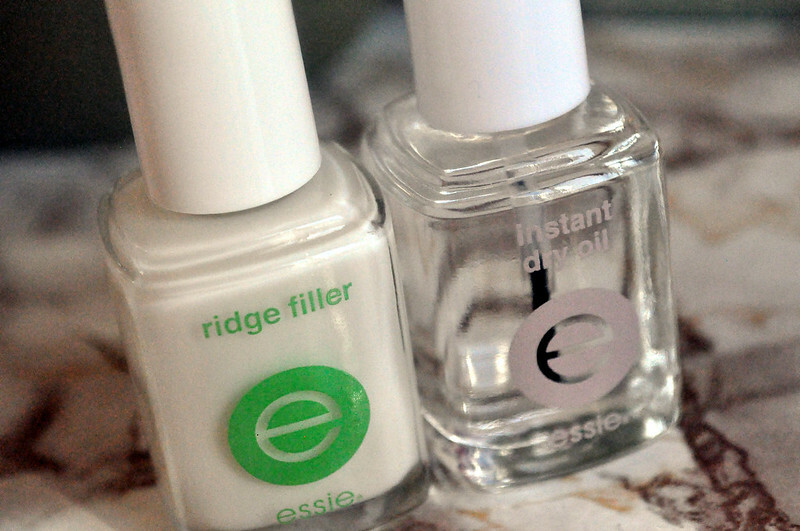 I'm really not a of shimmer at the moment so Navigate Her from Essie is perfect. I went for Muchi Muchi as I've been looking for a subtle light pink for a while. I'm hoping with the new brush and formula I wont have too many problems with application and will only need 2 coats. My nails have a couple of ridges in them especially if I don't buff them so I'm really interested in how this ridge filler will work. I would never have bought it full price but for £2.50 it's a pretty good bargain. Again with the instant dry oil, I probably wouldn't have bought it full price but am keen to see how it works. I've been going through Nubar's Diamont top coat so quickly I wanted a cheaper top coat to use along side it so I went for Sally Hansen Hard As Nails which was £1.50. I've yet to use any of these, apart from swatches, but just wanted to share incase anyone else wanted to order cheap Essie. I was pretty pleased with myself that I only picked up two colours! If there was more that I liked I would have bought a lot more!